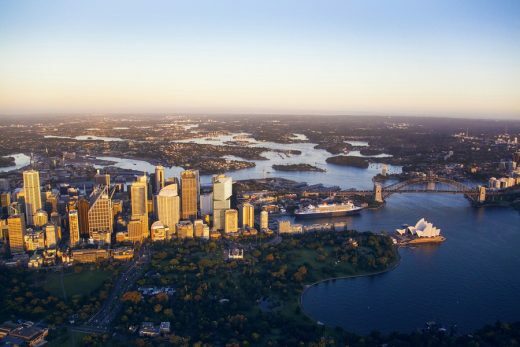 We’ve selected what we feel are the key examples of Sydney Architecture. 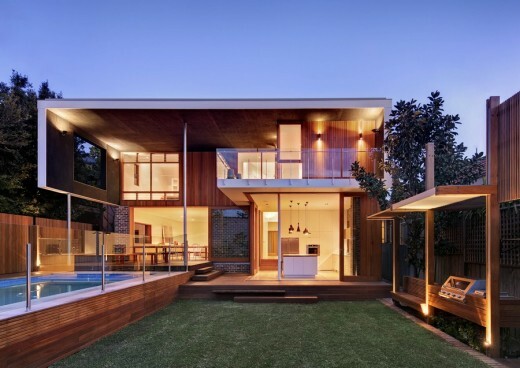 We aim to include NSW architectural projects that are either of top quality or interesting, or ideally both. We cover completed NSW buildings, new building designs, architectural exhibitions, design competitions and architects in Sydney. A decision by the New South Wales government not to heritage list the Sirius public housing building was invalid, a court has ruled, reports The Guardian. The Brutalist-style building in Sydney’s Rocks district will now get a second chance after the land and environment court said the minister for environment and heritage, Mark Speakman, had not properly considered a recommendation by the heritage council to list it on the register. Justice Molesworth said some iconic structures were so valuable to society their financial burdens could never be “undue” and should be carried at all costs. He considered two other iconic landmarks around Sydney Harbour – the Opera House and Harbour Bridge. Justice Molesworth did not make a decision on whether Sirius held a similar level of value, and stopped short of ordering the minister to list it on the heritage register. The Brutalist building in “The Rocks” district will get another chance to avoid demolition. Now, the NSW government must remake a decision based on current law. It also ordered the government pay the Millers Point Community Association, which has stood against the decision to sell off the building and crowdsourced $50,000 for legal fees. AR-MA worked with architects FJMT, Façade Engineers ARUP and Empire Glass to design and detail the facade systems for the awning, internal soffit, sloping glazing and composite entry canopy. The 200m-high tower is the most ambitious building designed by a Danish architect in the city since Jørn Utzon’s Opera House. The 49-story high rise comprises five shifting glass volumes stacked upon each other. The lower levels of the tower angle west to capture the energy and movement from the surrounding neighborhood. 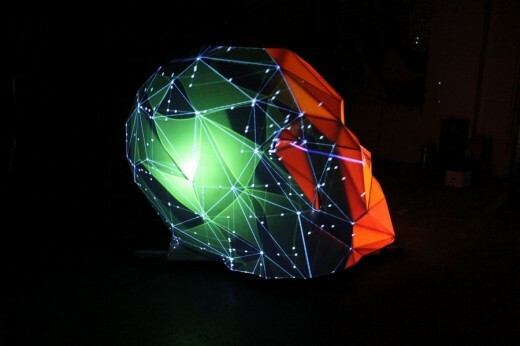 People passing through Sydney’s CBD will lend their face to a submerged giant human head rising out of Martin Place during this year’s Vivid Sydney festival. Located in the Sydney harbour-side suburb of Castlecrag, a cellular and inward-looking mid-20th century brick bungalow has undergone a complete transformation to an open, light filled contemporary family home that embraces the ideals of Walter Burley Griffin’s design legacy for Castlecrag “Building for Nature”. 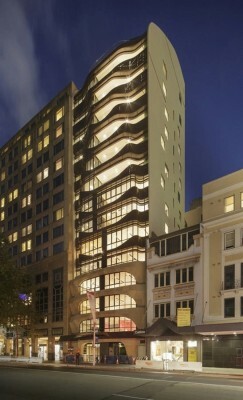 Designed to be Sydney’s most prestigious and progressive address. We sought a building to fit within the historic context of the area yet was an unmistakeably contemporary and challenging design, combining classic 20th century style with parametric design tools to create a sustainable iconic CBD landmark. A guiding principle of the design was to promote the wellbeing of all members of the family, creating an environment of peace and tranquillity. With an abundance of natural light and sunshine, the spaces are interwoven with nature through the use of courtyards, skylights, glazed openings and garden. The brief: maintain and preserve the lovely big rooms at the front of the house, while radically transforming the kitchen and bathroom at the back into a wonderful contemporary space. Seamlessly blend inside and outside living spaces. The Alpha by Tony Owen Partners is due to start construction in July. Located in Lewisham on the fringe of the Sydney city centre, the Alpha will form the cornerstone of the new McGill design precinct. The McGill master plan, prepared by Tony Owen Partners, is envisaged as a hip mixed use designer precinct with a collection of contemporary buildings and public open spaces forming an exciting new community. A Development Application has been submitted on behalf of Parramatta City Council for a landmark mixed-use tower. The Aspire Tower emerged from a design excellence competition held by the Council and is set to establish a new benchmark for innovative, passive-environmental design in Australian high-rise developments. Designed to act as a catalyst project for Parramatta Square, the tower provides high density, urban residential living which is not only affordable but also sustainable. The Sydney Exhibition Centre is a significant building for Sydney, recognised internationally as an outstanding architectural building of the twentieth century. Comprising five interconnected halls, each of 5,000 square metres, an underground 1,000 space car park; it is one of three public buildings undertaken by the practice in the Darling Harbour Redevelopment Area, adjacent to Sydney’s CBD. 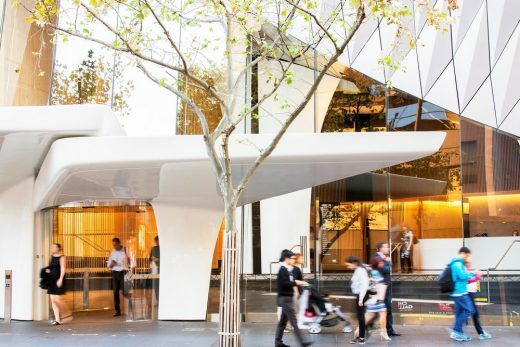 Lend Lease, one of Australia’s largest contractors, has been appointed by UTS to build the Frank Gehry-designed Dr Chau Chak Wing Building aka ‘Gehry’s Tree house’. To open in mid-2014 at a total development cost of $180 million, the building will house the UTS Business School. The UTS building will be 12 storeys high. At 150sqm, the project was modest in its footprint but sets a clear example of digitally fabricated interiors, and a prototype to see how these projects perform. In early conversations with the client, priorities were quickly realised: 3 radiating treatment rooms, a central reception area, lots of play spaces, soft furnishings like beanbags and excellent visibility – all of which contributed to the genesis for the ideas and space planning that followed. Common Ground Sydney adopts the ‘street to home’ approach of the Common Ground model originating in New York. The project addresses chronic homelessness by providing stable, high quality permanent housing. The building itself is indistinguishable as social housing or an institutional building but rather presents as a contemporary and comfortable living environment. This project is located in Mosman on a north facing slope looking across Sydney’s Middle Harbour to the Spit Bridge and Clontarf. The site falls away dramatically from a broad and densely landscaped verge on the street frontage, with a high sandstone cliff forming the southern boundary. 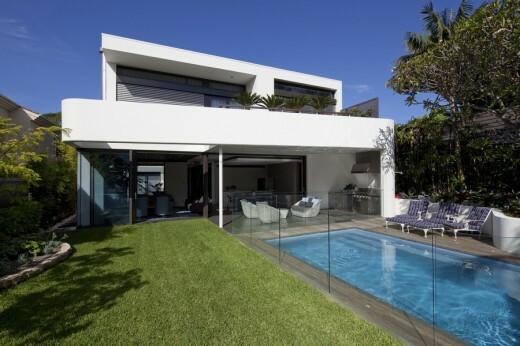 The house is nestled into this cliff, shielding it from the street, where it appears as a single storey, focusing attention on the magnificent view to the north. The building was announced as the winner of the Office category at the World Architecture Festival. The project, which creates a new urban quarter on the edge of the city, was praised by the judges for its exciting form and massing and the creation of a publicly accessible landscape. The judges were impressed by Darling Quarter’s environmental credentials, scoring 6 stars (the highest possible) in Australia’s Green Star Office – As Built v3 rating. BVN won the 2012 Sulman Architecture Award at the Australian Institute of Architects Awards, becoming the first architecture practice to win seven Sulman awards since the award was first given eighty years ago in 1932. Sited on the edge of a 70-metre high cliff, the plan of Holman House refers to Picasso’s painting The Bather. It contains a complex series of fluid living spaces set within a meandering perimeter that arcs, folds and stretches in response to sun, landscape and views.